Detectives have arrested a 20-year-old man on suspicion of a domestic assault which left a woman in hospital. 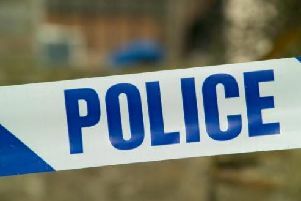 The suspect was held on Monday evening after police were called to an address in Haydock. The 42-year-old victim is believed to be the suspect’s mother and a Wigan nurse. She remains in hospital in a stable condition after what police describe as a “serious and sustained” assault. The 20-year-old man, who is from St Helens, was taken to a police station to be questioned. The woman suffered head injuries. A spokesman for Merseyside Police said officers were to the address on Church Road on Monday. He added: “Officers were called to Church Road at 10.40am and found a woman with a head injury. She has since been taken to hospital. Witnesses can call Crimestoppers, on 0800 555111.